Gemini 2 includes unique sophisticated algorithms that compare files using a wide range of parameters to detect similarities and make smart suggestions. In particular, it automatically selects identical files ("duplicates"), which can be safely removed with a single click, without review. Originals of these files remain on your Mac after cleanup. This approach is called "Smart Selection." To free up more space, Gemini 2 also filters out "similar files" that slightly differ from each other. 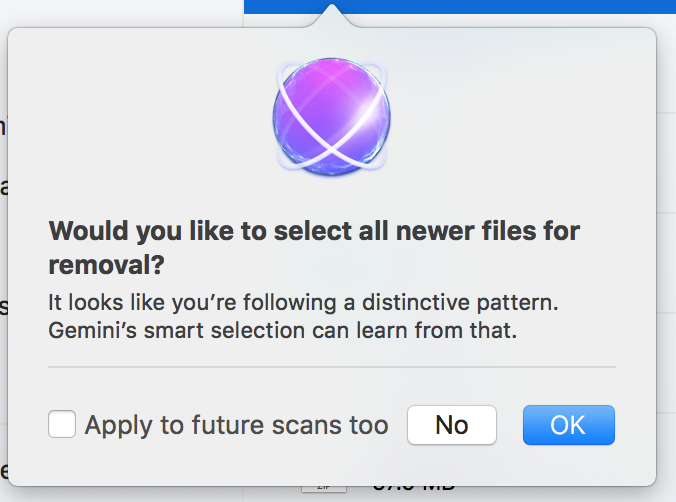 These files require your review — Gemini doesn't offer to remove them automatically. 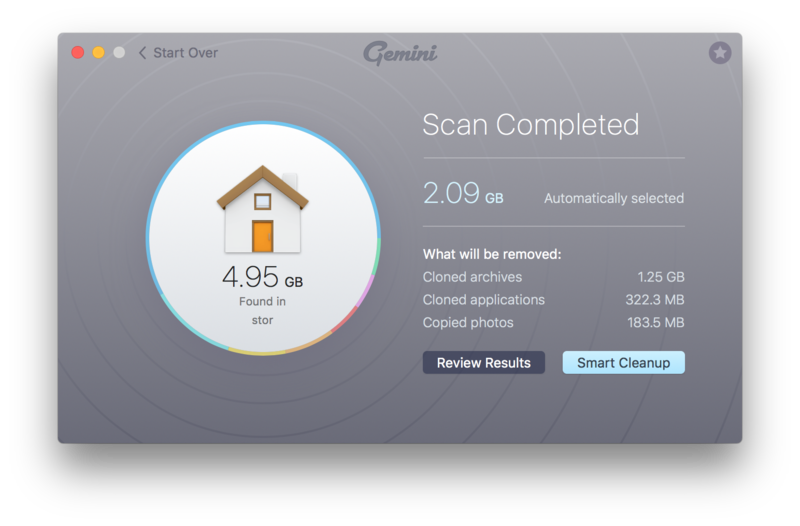 So, when the scanning is over, Gemini shows you the amount of disk space that can be retrieved through cleanup of safe duplicated data. Here you can also check types and size of found duplicates (use the diagram). Then, all you need to do is click the Smart Cleanup button. With this action, all duplicates will be moved to your Trash. Gemini's Smart Selection helps you quickly obtain some free space, but you can make your choices manually too. Just switch to the detailed summary screen and select files you no longer need. On the extended view screen, you can also review and select similar files.